Results showed that the participants in the treatment group exhibited a 61% increased rate of excretion of the carcinogen benzene on day one, and this continued during the full 12 weeks. Additionally, their rate of excretion of the lung irritant acrolein increased by 23% compared with the placebo group during the study. I worked in the chemistry lab during my undergraduate years at USF in Tampa, Florida. Even then, benzene was always handled under a hood to avoid inhalation of this potent carcinogen. Of course, it was vented outdoors just like the Chinese do in their factories. 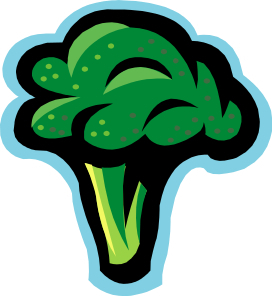 Broccoli and other cruciferous vegetables are very high in sulfur bearing amino acids. The sulfur is used in the liver to facilitate 5 of the 10 pathways in phase II liver detoxification. (Please review my blog on the liver posted on Wednesday, May 28, 2014.) Benzene and hundreds of other manufactured chemicals much be processed through both phases of liver detoxification, just like hormones. Previous studies on estrogen dominant breast cancer have shown that daily supplementation of a broccoli extract improves the actions of the Tamoxifen in preventing recurrence of the disease. Subjects taking the equivalent of one pound of broccoli per day in extract form were 50 times less likely to have breast cancer recur than those taking the Tamoxifen alone. Unfortunately, I frequently see new patients with a history of breast cancer, taking Tamoxifen, who are totality unaware of the benefits of adding a broccoli extract. It is interesting to note that all studies to date using various chemicals found in broccoli have not demonstrated any improvement in liver detoxification. Only the food extract of broccoli seems to have the complex combination of chemical compounds needed to support liver sulfation. Food is your medicine and medicine is your food. Eat lots of cruciferous vegetables, especially if you are exposed to airborne toxins. If these foods create a lot of gas, then your sulfur amino acid pathways are impaired. Try taking folic acid, vitamin B6 and B12. If the addition of these three vitamins doesn’t reduce the gas, see a qualified nutritionist for further testing and treatment.